When you take antibiotics, you may need to make other changes to your lifestyle to maximize their effectiveness and minimize side effects. Although there do not appear to be major adverse effects caused by drinking wine while taking clindamycin, talk to your doctor before drinking alcohol while taking antibiotics. Clindamycin is an antibiotic that is available in capsule form but can also be applied in topical creams or injected. It is effective against many kinds of bacteria, and it works by preventing bacteria from making new proteins. This slows bacterial growth and makes it easier for the immune system to fight off bacterial infections. Clindamycin is absorbed efficiently by the digestive tract and absorption of clindamycin is not affected by food. 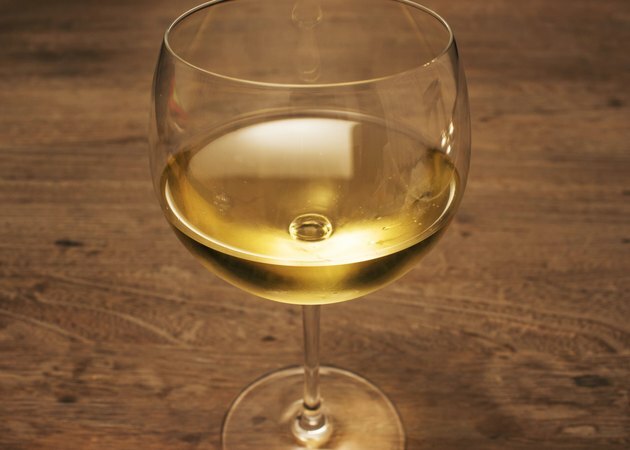 One reason you may be concerned about drinking wine while taking clindamycin is the concern that many people have that drinking alcohol while consuming antibiotics can have undesirable side effects. For some antibiotics, such as trimethoprim-sulfamethoxazole, metronidazole and tinidazole, drinking alcohol while taking the antibiotic can cause nausea, vomiting, headache, rapid heart beat and flushing. However, there is no documented interaction between clindamycin and alcohol, so you can safely drink wine while taking clindamycin. Although it is safe to have a glass or two of wine when taking clindamycin, you should not consume large amounts of alcohol. For one thing, drinking large amounts of alcohol can put unnecessary stress on your body, making it harder for your immune system to fight off the infection. In addition, clindamycin can affect your liver function. This, combined with excessive alcohol intake, increases your risk of developing liver damage. When you are prescribed clindamycin, talk to your doctor if you have any questions about lifestyle changes that you need to make while taking the antibiotic. Clindamycin can cause some side effects, such as nausea and vomiting, and these symptoms may be exacerbated by drinking alcohol. Talk to your doctor if you develop diarrhea, which can be a sign of a serious complication of clindamycin use known as pseudomembranous colitis. Can I Drink a Beer With Strep Throat? Can You Take Lansoprazole and Drink Alcohol?